he has one of the longest farms in the game and a lot of teams opt to sub him out for jolee. So is he worth it? Or should I have gone wampa? He's not useful in the current arena meta. He is a major part of HSTR P2 jedi teams, and is more than likely required for the eventual release of Jedi Luke. Not a waste, but not a current meta character. Both him and wampa are worth it, neither are current arena meta so just pick one and farm them, then do the other and dont stress too much about which you farm first. Short answer: yes. Long answer: yes, he is worth it. Btw, the OP asked if it was worth it to farm the character and not whether he is meta. You need more than the 5 characters on your arena squad for most of this game. Yes. He's great in many game modes. I prefer Hyoda on offense in my Revan squad, but he makes me a target on defense, so I switch back to Jolee. Hermit Yoda is def Meta as you can swap out GK for him. More teams use GK, but HYoda is def Meta in a Revan Squad. He’s a pivotal toon in many modes. He adds so much potential to GA, it changes the game. I’d say he’s necessary. So do you recommend gearing him, or jolee first? And are his zetas a good investment? Gear Jolee first, since he’s super easy to gear. Also, since Hyoda doesn’t attack and spends most of his time stealthed, he doesn’t really need good gear to be useful. Really, unless you have an abundance of G12+ pieces I wouldn’t gear hyoda past g10. Both. I did wampa then hyoda. No regrets on either as they are amazing. Yes. Absolutely yes. No brainer yes. I 7 starred both HYoda AND Wampa and have extra guild events store currency to spare... sooo... umm... is this a trick question? Hoda is definitely worth it. Once you get enough Jedi to fill out two full teams, you will most definitely want him so you can split bastila off to lead her own team. I run him with my revan squad right now, and I'm finding him to be better for mirror matches than bastila with the other standard 4. A very fast hoda combined with a fast, tanky jolee can be utterly maddening to face in arena. Hoda is meta in a Revan squad, but most people either don't know how to run him or don't have good enough mods to make the Hoda-train team with Revan. Pretty much on point. You need a very very tanky jolee and enough high speed secondary mods to get hoda just behind revan in speed. Once jolee and hoda are both +135ish or higher, its really hard to down jolee before he gets healed back up by either revan's aoe or hoda. He's one of the best healers in the game, if not THE best healer. I'd gear Jolee first, but you will need hoda as well. He can be very useful in a lot of situation. Concerning the zetas, I can't really give an appropriate answer, as I still didn't give him one. Agreed on pretty much everything here. 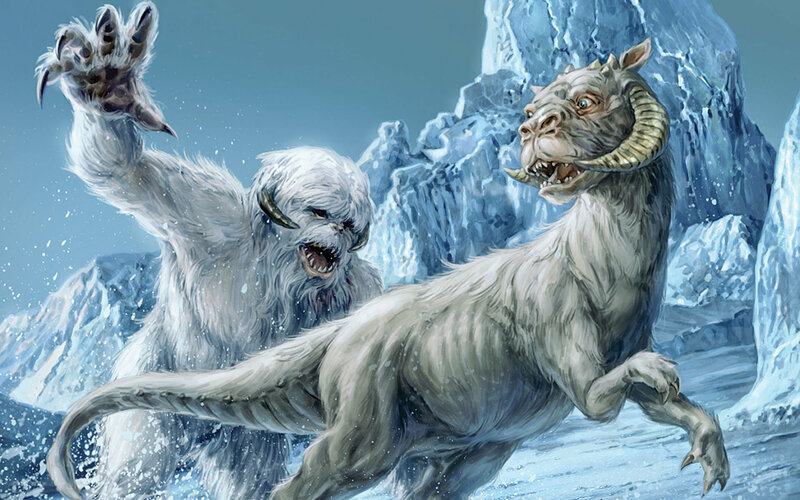 Wampa had its day in the spotlight, but it's not as useful as hoda is now. Hoda's reusability for sith raid makes him extremely valuable if your guild is doing heroic. A Rex/wampa team is still good for offense in tw or ga, so I would still farm and gear it after hoda. I went HYoda first then Wampa with just sparingly buying gear until they were both 7*. I figured HYoda would be required for Jedi Luke so I gave him the nod first. I don't use either one much, but that is mostly because I am so stun gun limited to gear either of them up properly. That’s the thing. I’m so desperate for gear I can’t bring myself to farm Wampa. Wampa is worth it too!